“Writings from the rat’s nest”by Lao She. Lao She is one of my favorite writers; I enjoyed reading this little book a few months after the publication by the same publisher of “The Philosophy of Lao Zhang” his first novel. 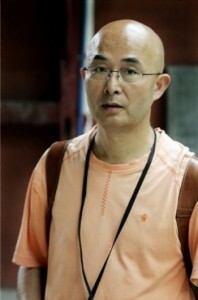 The writer and poet Liao Yiwu was unable to attend last September the Frankfurt Book Fair; a few days ago, he could not leave Chengdu to fly to the Literary Festival in Cologne. In short, he never could get out of China ! The writer Lu Xun, eternal protester of chinese society. Lu Xun, the “giant” of Chinese literature before the Revolution, makes the headlines in publishing: translations of high quality in France (by Sebastian Veg) and England (by Julia Lovell) and even a graphic novel about Ah-Q, his most famous short story (Editions Elytis). « I love dollars », short stories on modern China. Originally published on Rue89, 28/02/2010. Provocative and talented … a collection of short stories, “I Love Dollars” by Zhu Wen, a Chinese writer rather unknown but who had the honor of being published by Columbia University, has been translated into French. 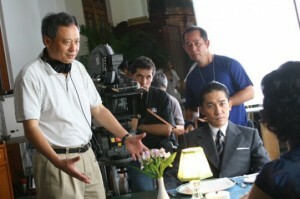 Other translations are planned, although now, the author devotes himself mainly to directing films. Editions P. Picquier have just published a third book by Yan Lianke, “The Days, the months, the years”. His previous books “Serve the People” and “The Dream of Ding Village,” published in China in 2005, had been banned; and the last one has received the Lu Xun prize, one of the most prestigious literary awards. Is the “hero” of the book the grandfather, his dog or growing corn? From Beijing to San Francisco, culture conflicts with Li Yiyun. First published on Rue89.com, 08/30/2008. In the summer cinema programs,with the month of August no longer a desert, this year there was a double gift: two films by Wayne Wang, “A Thousand Years of Good Prayers” and “The Princess of Nebraska”. Less known than the Sino-American filmmaker, these films are based on works by Li Yiyun , a young Chinese writer living in San Francisco.